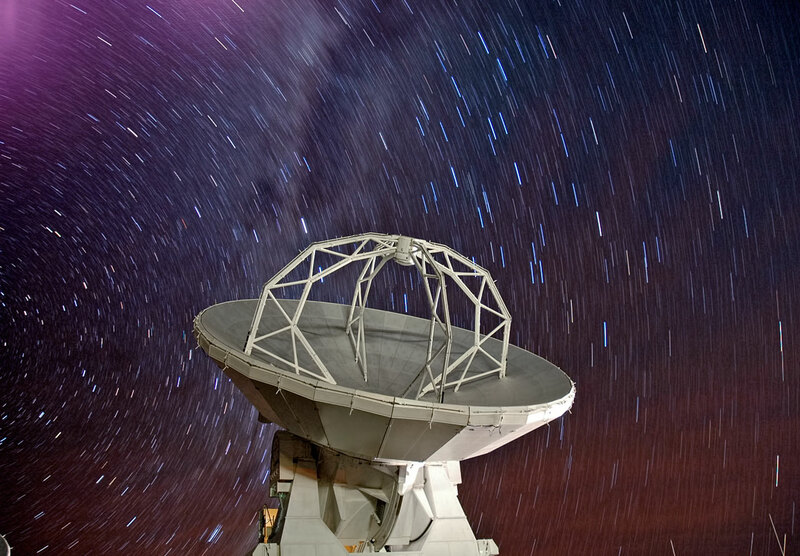 This photo, courtesy of the National Astronomical Observatory of Japan (NAOJ), shows one of the 66 antennas which form the Atacama Large Millimeter/submillimeter Array (ALMA), located on the Chajnantor Plateau in the Chilean Andes. 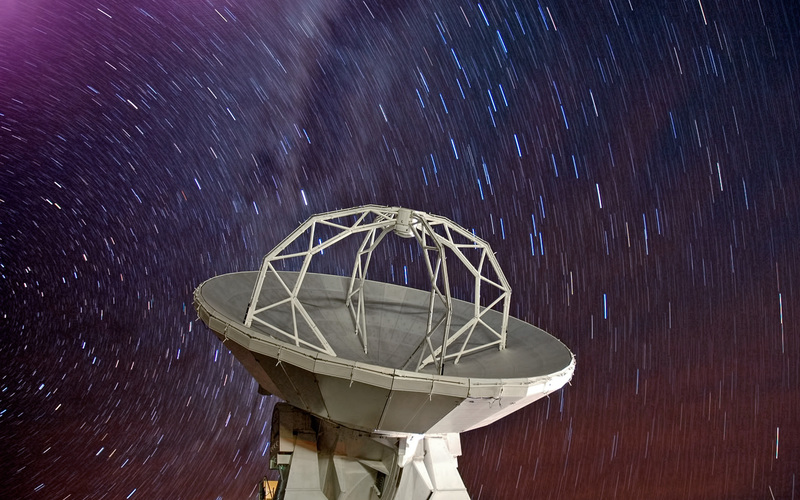 Above the antennas, stars appear to rain down on the site. The downpour of stars is the result of a long exposure capturing their trail across the sky as the Earth rotates. 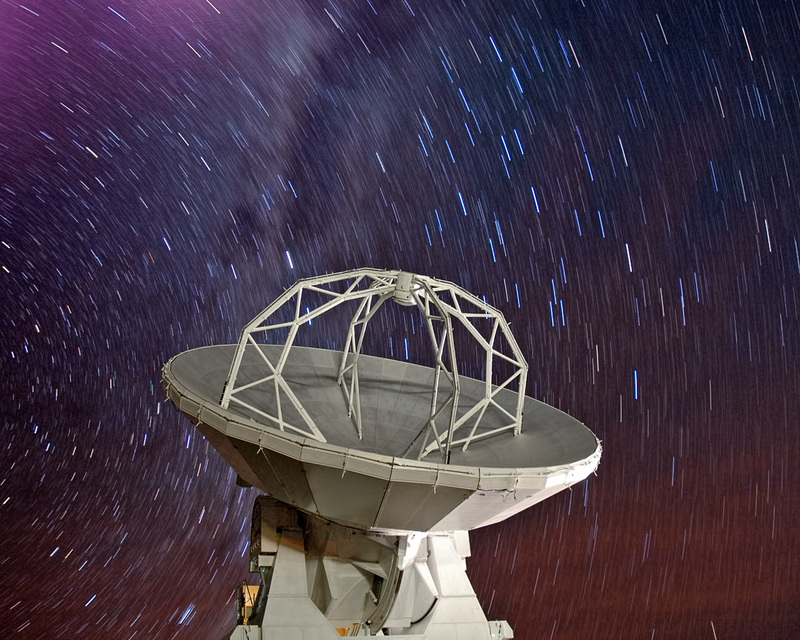 The plateau on which ALMA is located was actually chosen in part due to its dryness. Radio waves can easily penetrate the Earth’s atmosphere, but moisture in the air absorbs them and degrades the quality of the observations. So just as well that this is not real rain! 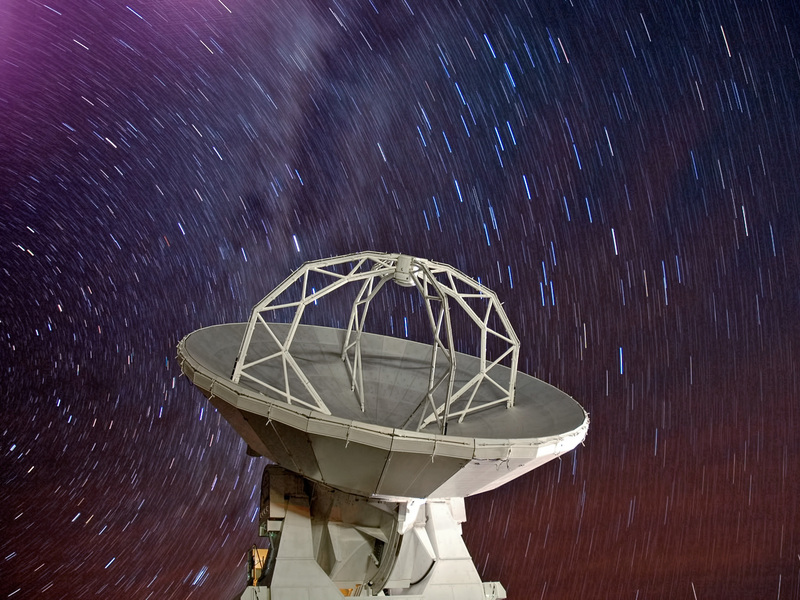 ALMA is an international partnership between Europe, North America and East Asia in cooperation with the Republic of Chile.